Woodstock Designs was formed in 1981 by Interior Designer and Author Henrietta Spencer-Churchill. 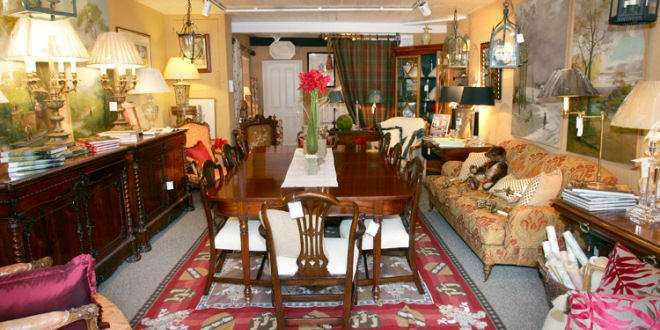 The retail shop and design studio sells antiques and accessories for the home with a first floor showroom displaying thousands of fabric and wallpaper samples. Our Interior Design expertise lies in residential design from renovation of period properties to new build houses, incorporating current trends and technology whilst respecting the historic character and architecture. We undertake commissions worldwide. Henrietta is a Member of the BIID and is past President and Fellow of the UK Chapter of the IIDA – International Interior Design Association (formerly ISID) and past Region Director for Region 1 – Europe. She is on the advisory board of the New York School of Interior Design and teaches there and at other schools in London.